Some words to the reader: This article is not meant to be scientific… or maybe a little bit. But since the majority of the GFF readers rather enthusiastic fishers and nature lovers rather than scientist, I chose more common descriptions than you will find in an biological text. An odd noise echoed over the vast lake, squeaking oars of a wooden dinghy.The dark blue water reflecting a bearded face showing his ardousness. It seemt fruitless, even hopeless, since weeks he’s trying to catch one of those trouts. No bit, no sign of fish, strange. So it might happend, on a calm december day in 1902 on lake Nahuel Huapi, in Argentine. This pioneer didn know, there are no trouts in this lake, nor in any other. 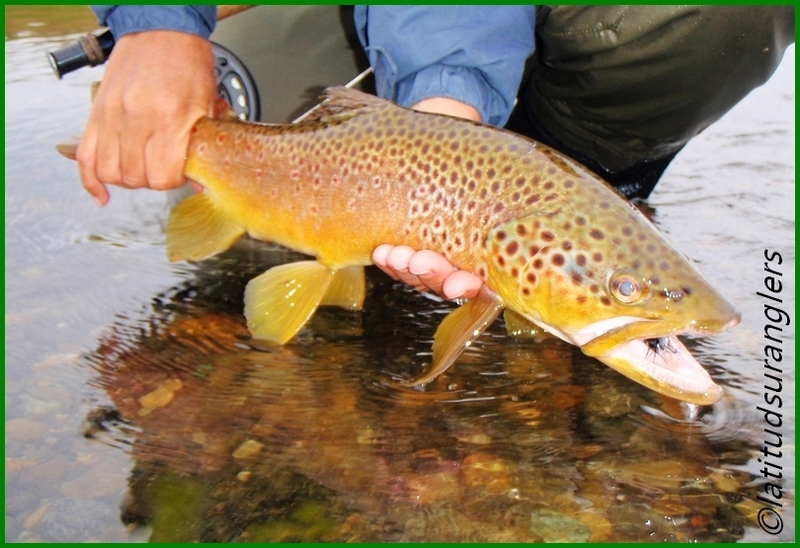 Even in the countless rivers and creeks, rich in aquatic live, trout & co where abcent. Evolution decidet that salmonids where not appropiate fot this waters. Gymnocharacinus bergi, which is declert as an endangered species. All begun arround 1890 in Hurlingham, a suburb of Buenos Aires. Some british, obvisiouly tyred, playing cricked and polo, came up with the idea to stock the small arroyo Morron with rainbow trout. And so, admitting their british roots and maybe a glint of the master of its century, George Edward MacKenzie Skues, the Morron creek where the first ever stockt water Argentines. But not adobted to the hot summers, the unfortunate trout soon vanished out of the Moron. Almost a quarter of an century earlier, in the year 1875, the young argentine adventurer Francisco Moreno, where exploring the chilean and argentinean wilderness. And he revealed the absence of any fish worth to be describt as an fishermens dream to fish for. Now, knowing the extrodinary potential of those rivers in terms of sport fishing and commerce, he informed the argentine goverment to concider the introduction of salmonids. In the year 1892 french Ferdinand Lahille and italien Felipe Silvestre where invited by the Argentine authorities. Both are biologist and soon started theire work independently of each other. 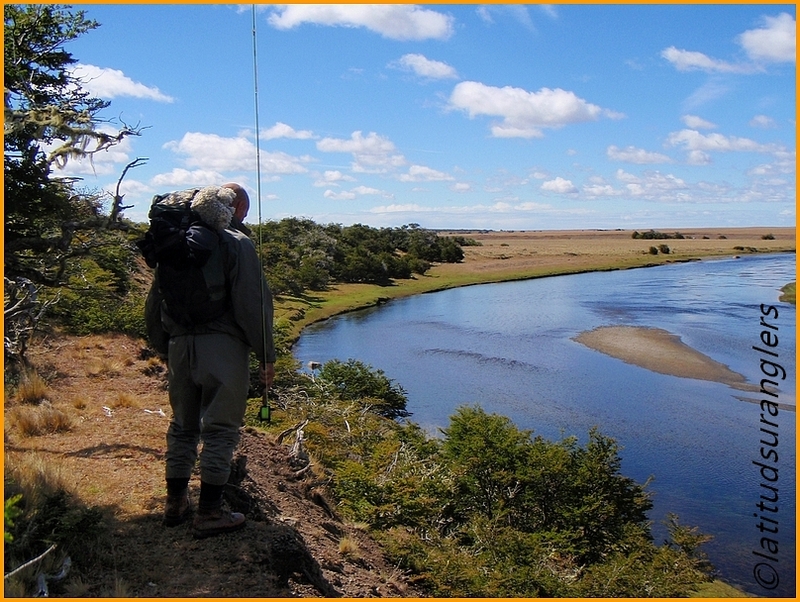 Lahille studied the Neuquen river and Silvestre started his scientific job further south, on the Santa Cruz river. Somehow, results from either where not satisfying or inadequate and the goverment decidet to count on the American John Wheelock Titcomb, Chief of the Divisin of Fish Culture in the National Fisheries Bureau. Years went by and finally 1903, after an adventurous journey, Titcomb arrived the shore of lake Nahuel Huapi. After 9 months of scientific field studies, he analyzed his samples and notes and evaluated the ecosystem suitable for the introduction of salmonids. Since th scientific field work was completed, Titcomb soon faced another hurdle: how to deliver those salmonide eggs from the US to the far destination lake Nahuel Huapi? The transport would last two months by steamboats from New York to Buenos Aires, not to talk about the rough overland trails to the lake itself. It was a mission impossible to ship such fragile freight without any cooling devices. Edgar Allen Tulian, resigned from his positionhis as a superintendent of the hatchery of Leadville Colorado to participate in this ambitious project. As well he was in charge to all logistic dutys. And so, weeks, maybe months went by, until Tulian got a genious idea: to us the british steamers, which where shipping argentine beef to great britain, by using onboard cooling compartments. The shipment arrived after 10 days the harbour of Southhampton, England. After repacking the precious boxes into the british steamer, the journey continued for additional 40 days or so and arrived in Buenos Aires. Certainly an logistic masterpiece. The journey continued from Buenos Aires to Neuquen by train for two nights and one day. And finally on march 4th 1904, after 300 miles through the rough nature Patagonias, on stages and horse back, arrived Lake Nahuel Huapi. Those are Titcomb’s original words when he made his first statement back in the US Fortunately, such an invasion has never been realized. And would have brought all otoctone species to extinction. Exept the Whitefish, which disapeart without any trace, the stockin succeedet. The stock of Brown trout, Cod, and all Pacific salmon of the first shipment failed. There are notes and stories, true storys, of entire shipments of trout eggs which didnt make it to its “delivery adress” because of hazardous transport routs or simply, because the ice, there to keep the freight well tempered, melted. So, often the transport crews, in stead of leaving the hatched or damaged eggs next to the road, emptied the boxes into streams or lakes close by. 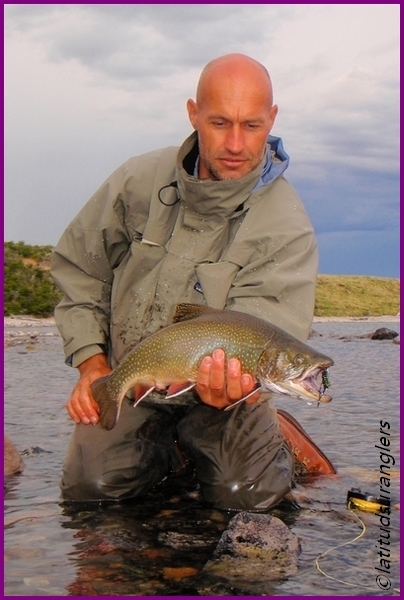 The most efficient accident happenend to the Lake Gardiel in Patagonia, a windswept turquise body of water with a sheer number of Rainbow trout. Well, not quiet, we still missing one link to close the chain: Salmo trutta, still wasn’t here ! Twenty long years after Titcomb’s task force, Salmo trutta eggs where imported from Chile and planted widely throughout Argentina’s south as well as “Tierra del Fuego,” better known as Fireland. 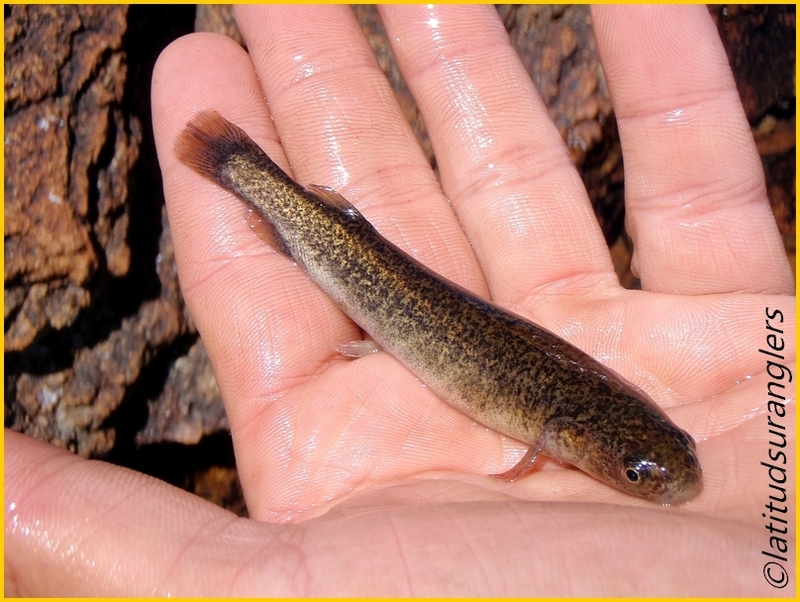 But thanks to Titcomb’s zootechnical knowledge, breeding stations on lake Nahuel Huapi and later from Neuquen and “la Cumbre” hatcheries in Cordoba, as well from “Isla Pávon“ delivered more eggs and juvenile salmonids for the stocking program. In 1910, this remarkable project of shiping eggs in large numbers came to its end. In 1980, the last ever shipment arrived from Denmark, Germany and U.S.A, and introduction from imported material was definitely terminated. Less known is that the northern provinces like Cordoba, Juyui, Salta, and Tucuman as well where stocked, back in 1907! And introduction is done periodically. But unlike Patagonia those creeks often hold “ready to catch” rainbow, and the “put and take” character is part of an highly developed turistic infrastructure. Today, 100 years later, all intruders succesfullly has adopted to ( and formed) an ecosystem, and occupied a ecological niche, which with respect to evolutionary development misplaced and doubtless influenced natural habitats of otoctone species. Patagonia will remain an interesting experimental ecosystem. Thats what we call the “Steelhead” down here. The Santa Cruz river, located in the province Santa Cruz is the only stream Argentinas and Southamerica, where this anadromous rainbow occurs. This fact alone isn’t worth mentioning, we could easily stock any appropriate stream with genetically enhanced eggs and the chance to get a sea run mykis would not be impossible. But, there is a discordance in historical written records wether the early introduced population developed into an anadromous form, (which would be an unique biological exeption) or, wether the river where stocked with both, anadromous and landlocked fish from Californian stocks. We know that the first Steelhead shipment in 1904 failt, because of an early hatch of the eggs, which than where put overboard on the coast of Brasil. The next mentioned delivery is dating back to May 6th of 1908, which where delivered to the “la Cumbre” hatcherie in the Cordoba mountains. No further notes are available to any steelhead stocking activity, related to the Sta. Cruz river. So it seemt, that rainbows in this particular glacier fed stream has developt to an anadromous form, which until today is an exeption and makes it to an unique biological event. It’s certain that we find both forms in this river, which is periodically stocked with the anadromous form from the hatcherie on the Pavón Island. 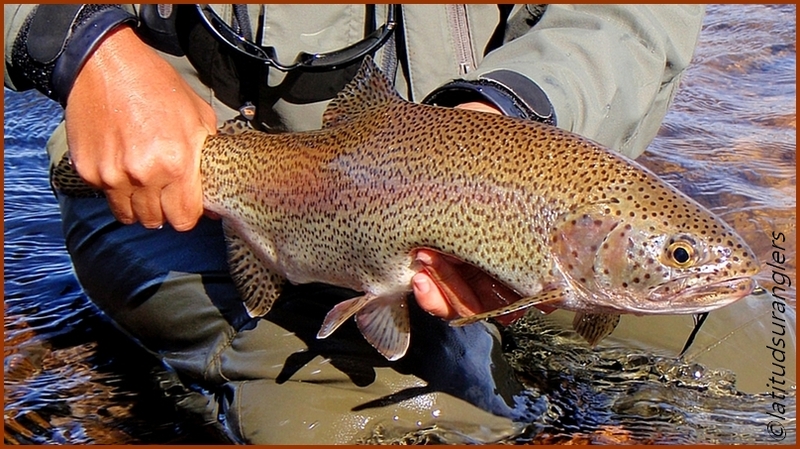 Well you might say in Chile are also caught steelhead, but those big rainbows, entering from the pacific rivers, are all escapees from the sea ranching projects and shouldnt be declared as “Steelheads” ! But there is a flip side: the hydro-electrical dam projects, “La Barrancosa” and “Cóndor Cliff” are not longer proposals. When you reading this, the last ever free flowing argentine patagonian river will be on it’s way to be tamed. Wether there will be fish ladders, we dont know yet. And again, all scenarios are thinkable: a flourishing developing landlocked form of the remaining chinook. 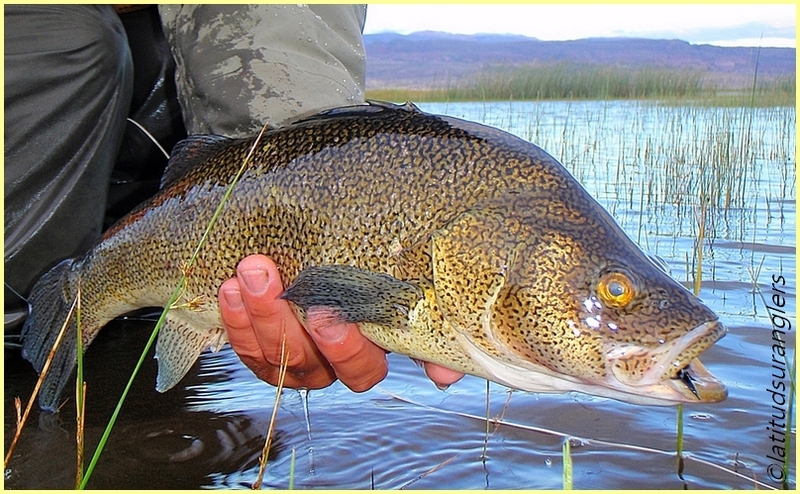 There are tributarys for the pacific salmon in both the lakes, Argentino and Viedma. Or the extinction of the Namaycush population and resident Rainbows of both lakes. By the way, the first ever reported catch of an steelhead in this river was in 1968 ! Apparently, the origin of the first introduced salmonids came from the Baird fish hatcherie on the Californian Mc Cloud river and no namend Oregon waters, as well as Denmark, France and Germany. Atlantic salmon stocks came from the Earl of Denbigh´s fisheries North Wales ! 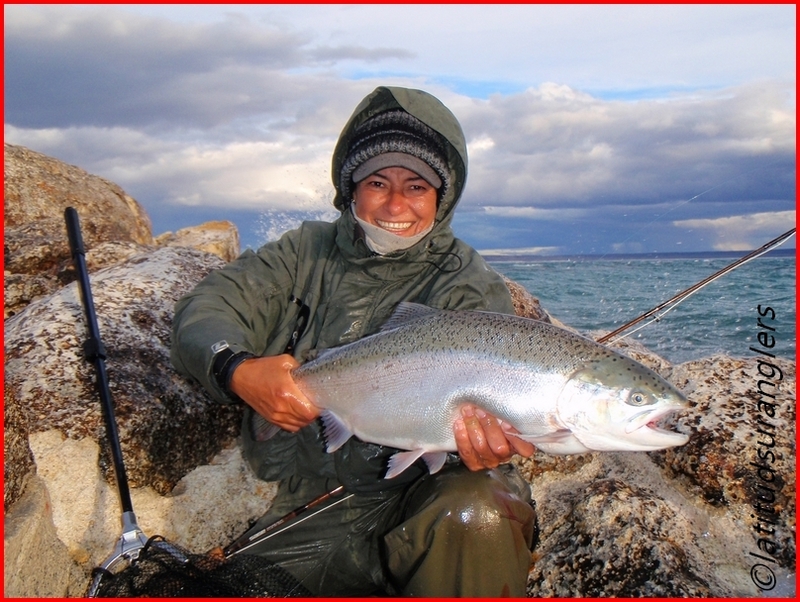 There’s no bigger phenomenom than the presence of the king salmon Oncorhynchus tsawytcha or Chinook salmon in Argentina. Their spawning run is from the Atlantic Ocean into the Santa Cruz river and continue to Lake Argentino and Viedma and his feeder streams. To reach the spawning grounds in a tributary of lake Viedma, the chinook have to take the right, turn (literally) through the Leona river which connects the lakes to each other ! from sea ranching projects in southern Chile from the 80’s. 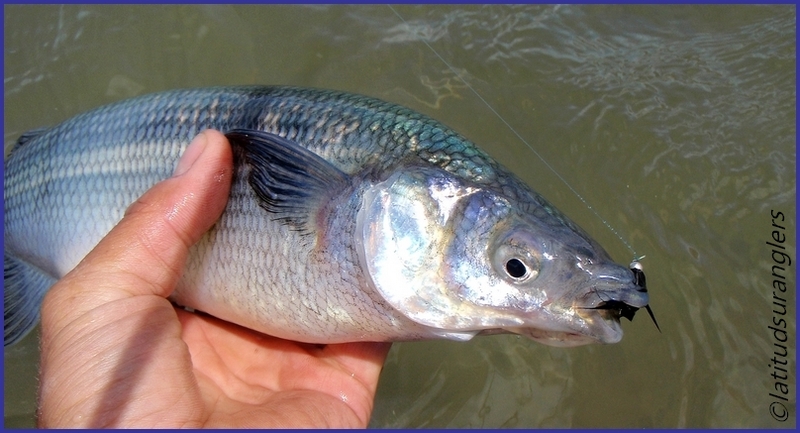 The result of straying and escapes from farming experiments are periodic catches of chinook in the rivers Irigoyen and Rio Grande of Tierra del fuego, as well as the Rio Gallegos. The northernmost traveled chinook where caught by comercial netfishers on the coast of Uruguay ! 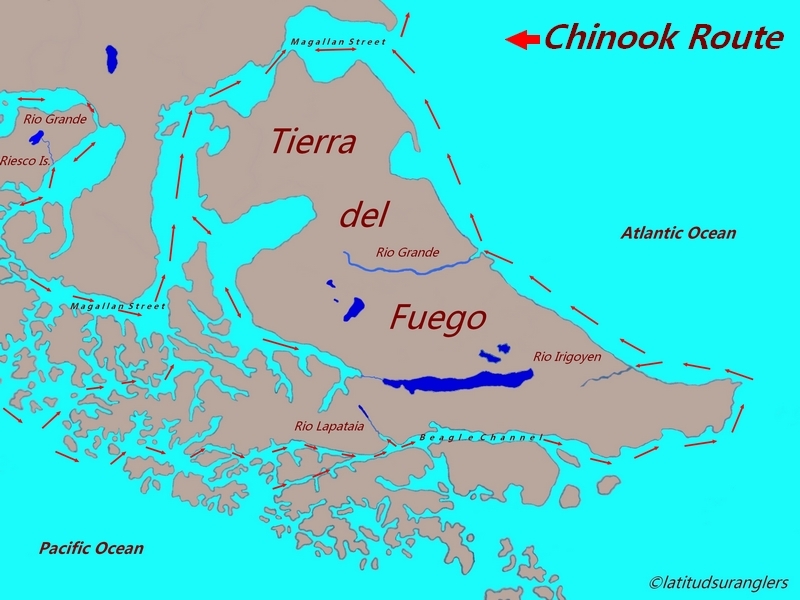 In 1886 the first ever chinooks where introduced on Chile’s coast, but the project failed. Returnees were never found. Than, 92 years later, from 1978 – 1989 the chilenian authoritys introduced chinook salmon. from the Washington’s Kowlitz and Kalama river into the Santa Maria and Prat rivers in the Magallanes region, the southernmost part of Chile. The descendants of these fish found themselfs in nutrition rich waters and followed the south channel zone through the Beagle channel, as well through the Magallan street.The first Chilean sea ranching experiment dates back to 1977-1982 in the waters of Chiloe island. When I first fished the Rio Grande on Chile’s Riesco island in the end of the 90tys, the chinook rather where a exotic bycatch while stalking searun browns. Today, when autumn run starts, it’s not seldom to hook into such bright strong fighters in the 20lbs. 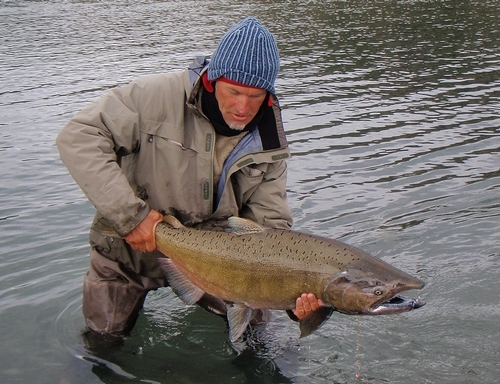 class.cThe Argentine Lapataia river as well is among the known chinook spawning grounds. 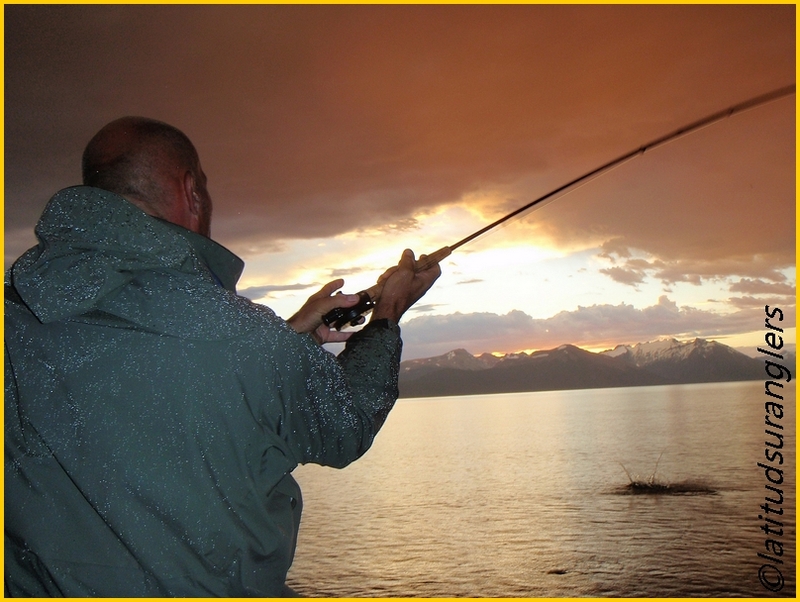 Some of us might remember those throphy catches of huge chinook or coho in Pacific bassins like the Pico, Corcovado or spawning runs far up to Lake Puelo and rio Futaleufú. Those Salmon never where stocked. They found their way through river and creek interconnections, which all have one source: the Pacific. The main routes of Oncorhynchus tshawytcha from the Chilean Pacific coast to Argentines spawning grounds are the Palena, Pascua, Yelcho, Baker, and Puelo rivers. 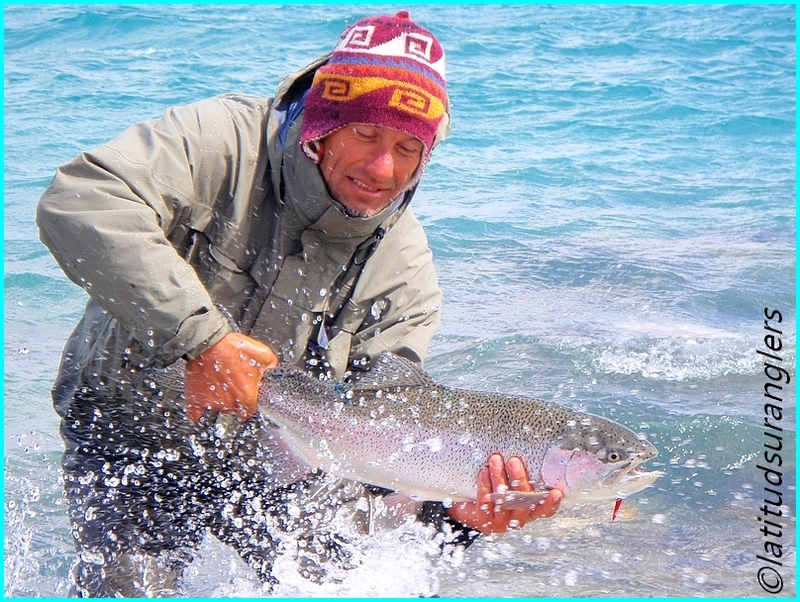 Another “sporty” enrichment are the escapees of rainbow trout, Atlantic salmon, Coho and Chinook salmon caused by an “Tsunami” in march 2007, triggert by a huge landslide in Chile’s Aysen region. The 18 feet wave destroyed the entire open water net pens of the region. There are no disagreeements, that the entire colonization from the Pacific side consists of escapees from ocean farming projects, but there’s is one remarkable fact: just a minor percantage of the entire sea ranching projects are focusing on Oncorhynchus tsawytcha.Increased salmon production from anual 5 to. in the 80’s, to far over 100.00 to. today, didnt boost emigration of Atlantic salmon, Coho and rainbow trout, which are so far the most commonly farmed fish. In stead our Chinook is outnumbering the other farming escapees. And it seemt, he is number one in adopting pacific and argentinean watersheds. The Invader, Oncorhynchus tsawhitcha, is object of a wide range of scientific studies. 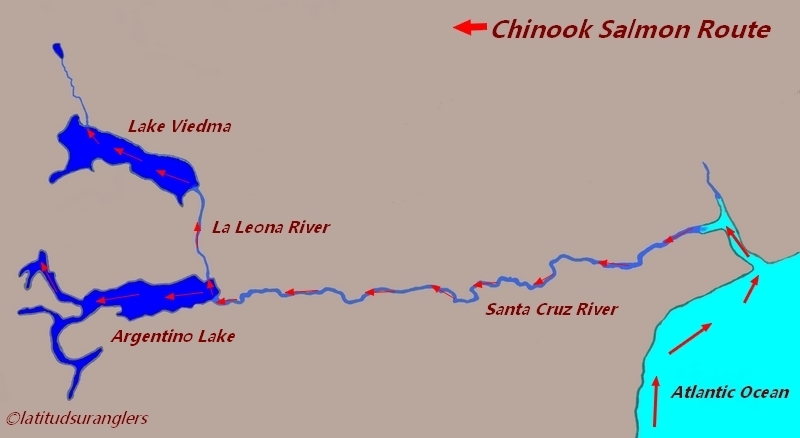 But so far, no results are available to show wether chinook salmon is host to fungus or deceases due to mislead farming practice, and jeorpardize the otoctone species and brown, brook and rainbow trout, when entering rivers.The Chinook where preadapted to their novel marine and freshwater enviroments, because of similarities to equivalent north pacific habitats. 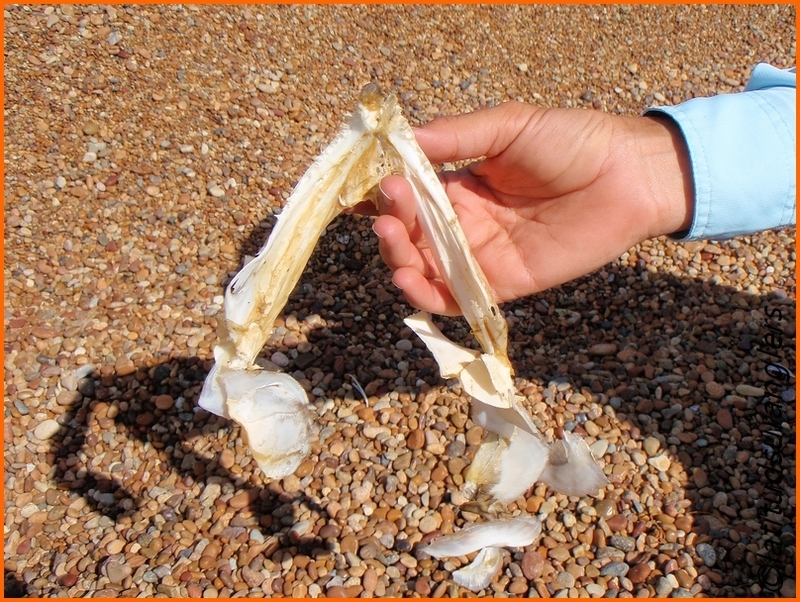 Now, since they establisht selfsustaining populations, the question remains, catch & release ? Or should they be bannend from spreading? And if so, why judge them in a different way to those invaders which where first introduced ? But, by the way a significant number of those spawners are caught by netfishers in the Ocean itself, legally or illegely and not by sportfishers! Patagonian waters will remain as an huge experimental ecosystem. 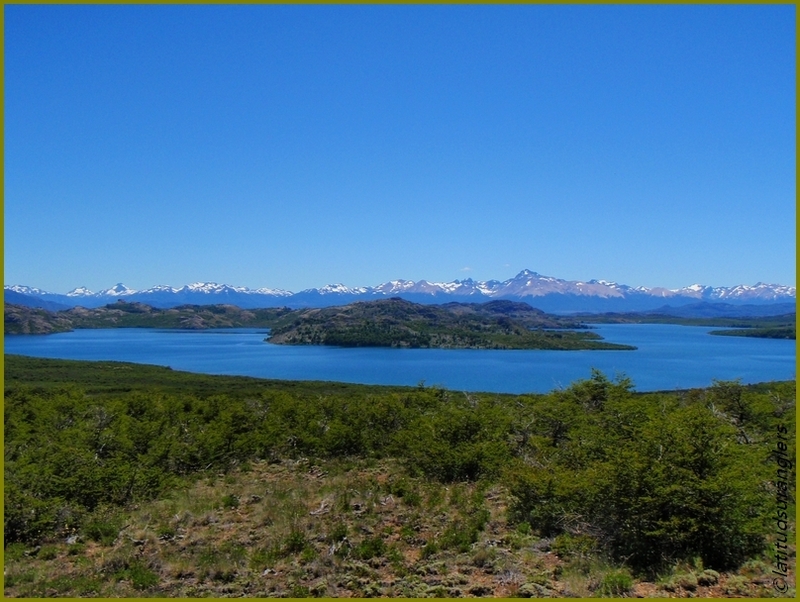 Nevertheless, all those who hooked with this unique place on earth, swept by the fierce winds and covered in an seemingly infinity of blue sky, those, who enjoy hiking, fishing or birdwatching know that Patagonia, this unique place on our planet is worth care and respectful treatment to conserve it for future generations.